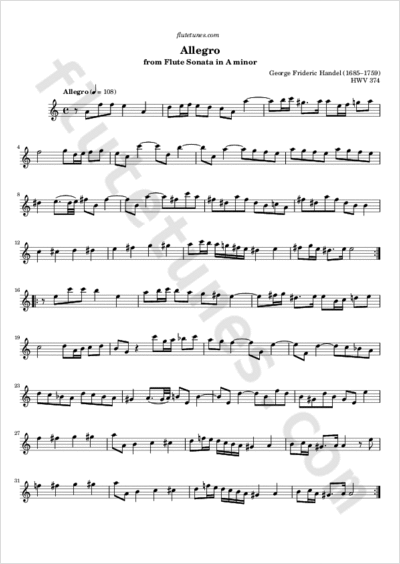 This Allegro is the second movement of a sonata in A minor for flute and keyboard that is thought to have been composed by George Frideric Handel. First published in 1730, the sonata is referred to as Halle Sonata No. 1 (“Hallenser Sonate Nr. 1” in German). It was supposed to be an early work composed by Handel before 1703 in his hometown Halle, but its authenticity is now considered doubtful.